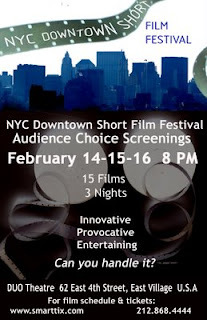 Come out and see my last film "Puppet" screening at the New York Downtown Film Festival this Saturday, Feb. 16th, 8pm. DUO Theatre 62 East 4th St., East Village. Should be a good show. See you there! To the end, my dear. 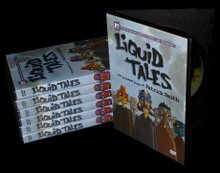 "Liquid Tales" The Complete Collection of Shorts by Patrick Smith Available Now on DVD! 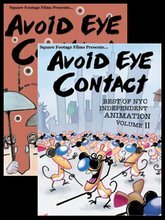 "Avoid Eye Contact" Volume 1 and 2, The Best of NYC Independent Animation, featuring the work of Patrick Smith Available on DVD!